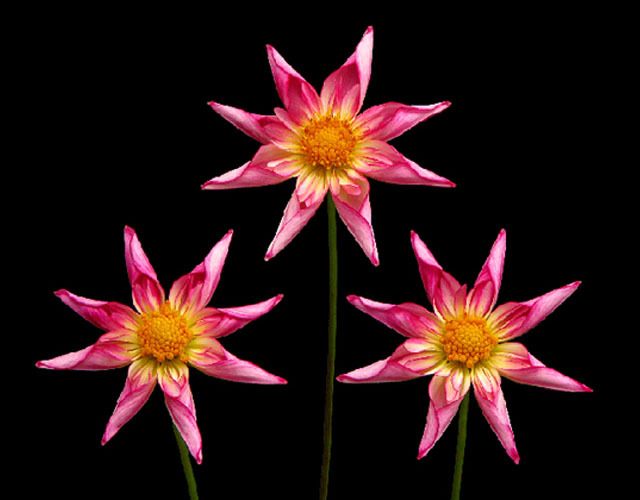 9401—9415 ORCHETTE Dahlias: A bloom combines the involute characteristics of the orchid dahlia form and the petaloid characteristics of the collarette form. 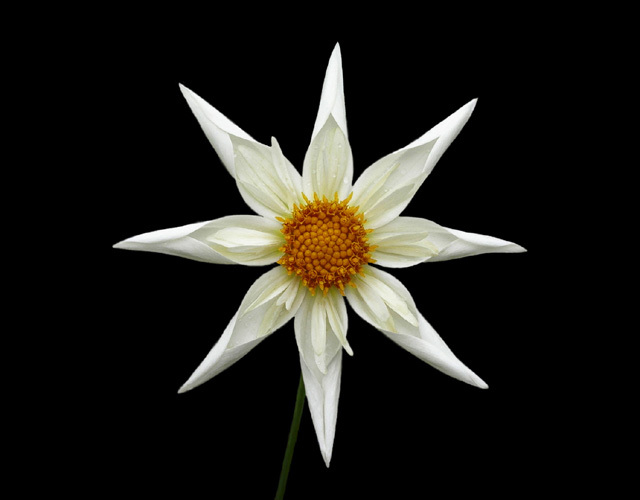 Ideally, eight ray florets uniformly surround the disc flowers in a flat, even plane. Ray florets should be straight and involute for at least half of their length and fully involute for at least one-fourth of their length. Ray florets should possess a corresponding petaloid at their base. Petaloids should be of a length which gives visual impact and not so small that they are not easily discernible at arm’s length. Petaloids may lie flat within the base of the ray floret or slightly rise and/or cup upward toward the center of the bloom. Disc flowers with 0 to 3 rows of pollen are desirable.